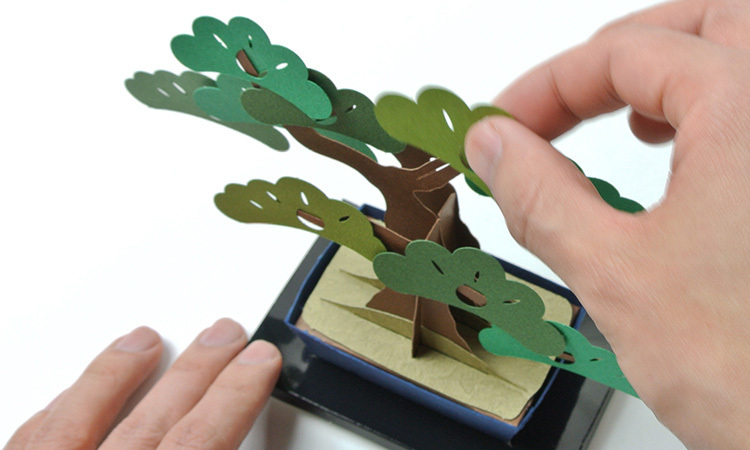 Kami-bonsai are paper bonsai trees that you construct yourself. 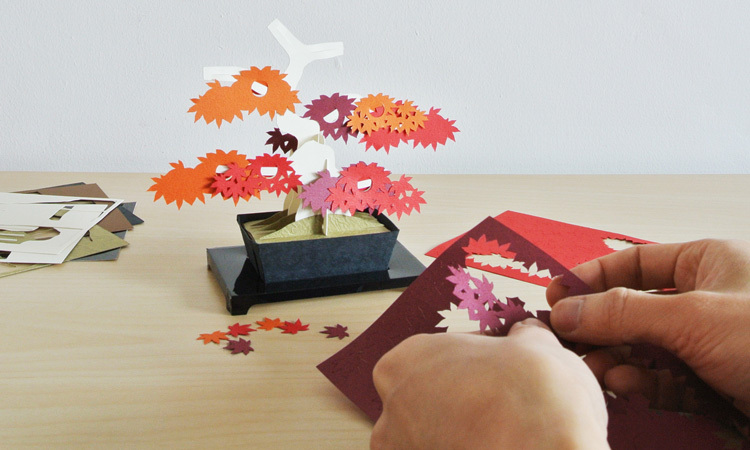 No tools—including scissors or glue—are required. The compact A6-sized (105 mm x 148 mm or 4.1 in. x 5.8 in.) package slips into any suitcase; the perfect souvenir to take on a trip. 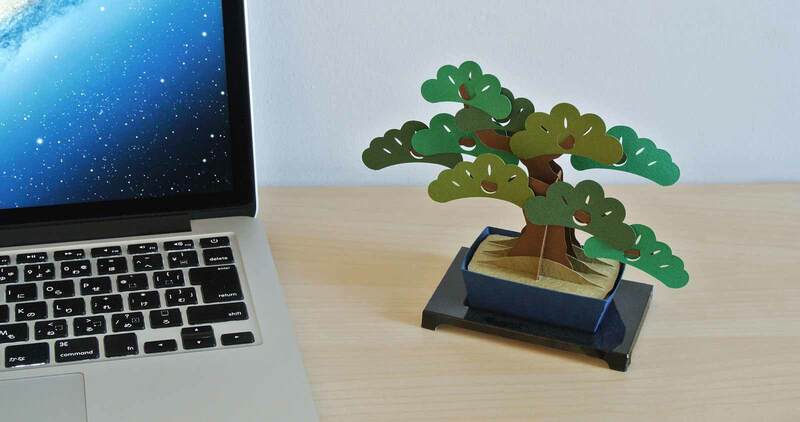 One of the best things about a bonsai is that you grow and shape it yourself. 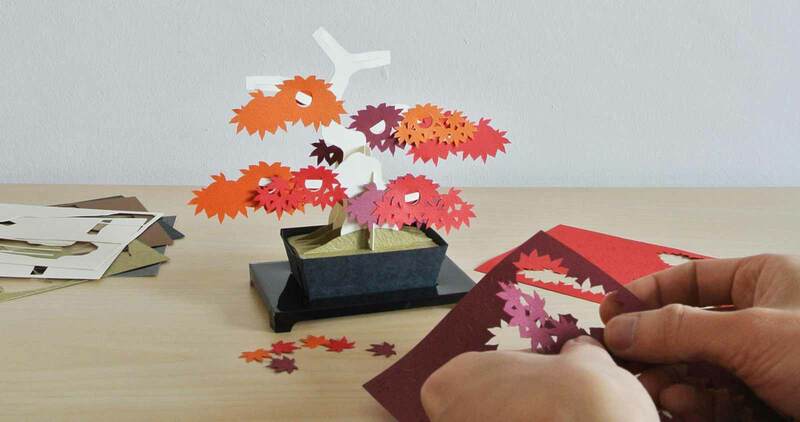 Kami-bonsai kits are designed so you can position branches and leaves any way you like. 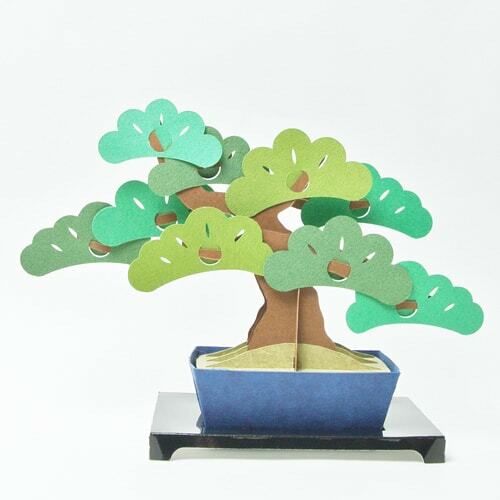 Kami-bonsai were designed as gift items that expressed Japanese culture. 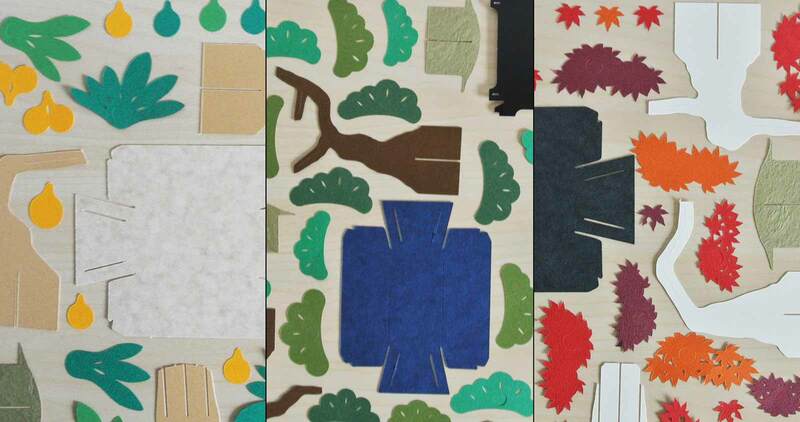 We did this by making all of the kit pieces from paper. Nothing has been printed and no other materials are used. and examples of how they can be assembled. 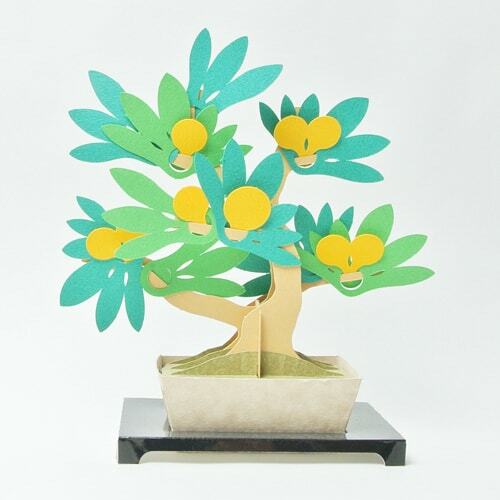 ※This is sold only in Japan. 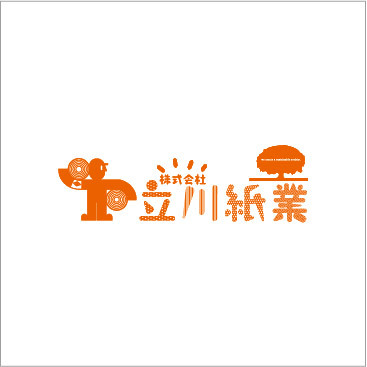 Products are now on sale in variety shops in Japan. 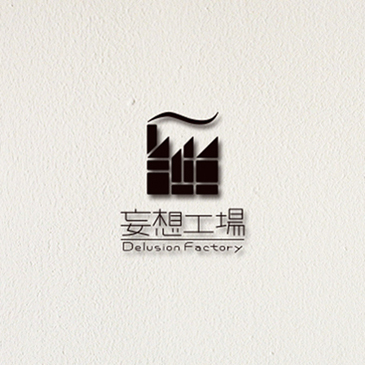 We have no plans yet to conduct sales overseas. 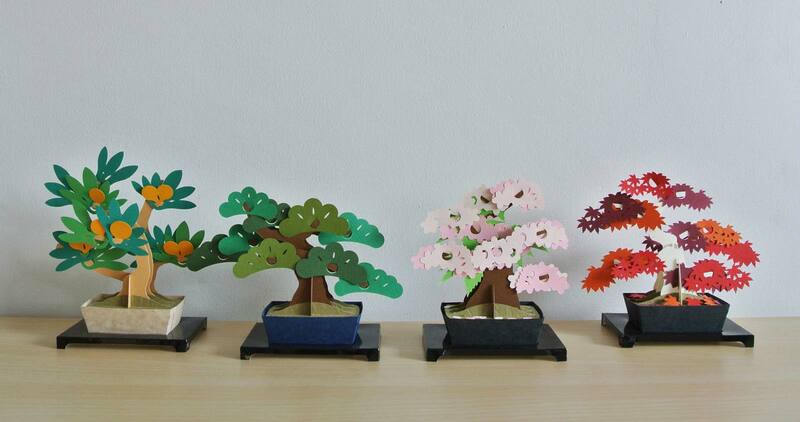 Use the form below to inquire about kami-bonsai kits. 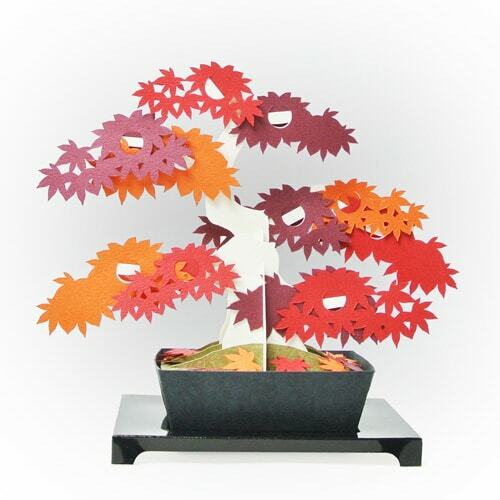 Tachikawa paper Co., Ltd. is a paper wholesaler that has been serving East Tokyo for over half a century. 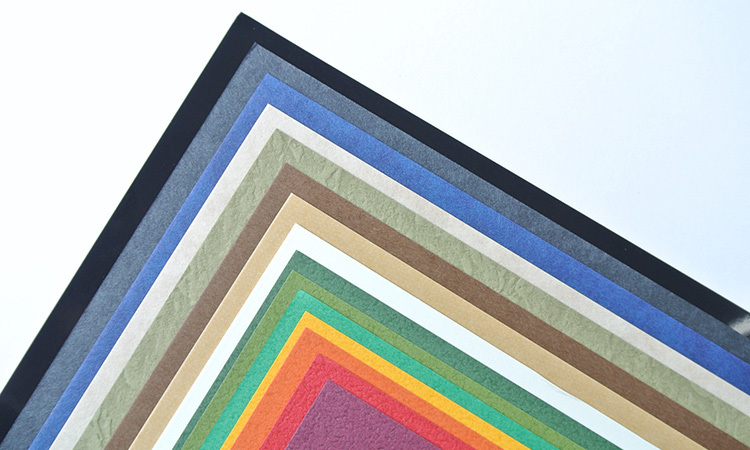 Our warehouse stores more than 2000 varieties of paper that are measured and cut to specification. Our job is to communicate all kinds of things—anything—as long as it stimulates the human imagination. The concept behind the products we plan and design is that they be completed with the imagination and creativity of their users. 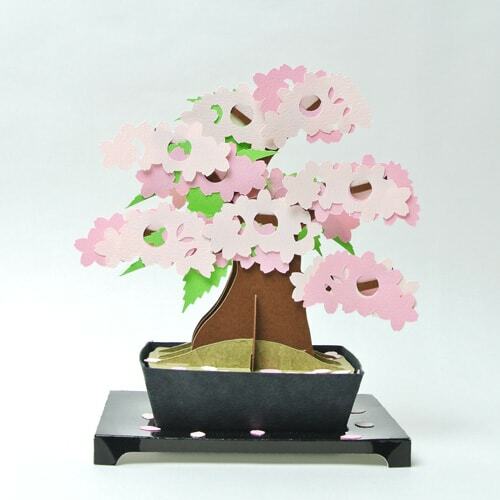 copyright © 2016 kami-bonsai All rights reserved.